Erin has been fishing since she was a toddler in the Midwest and now loves dry-flying the small streams of southern Vermont. Erin is also a writer and strategy consultant with over 20 years of experience in nonprofit marketing and fundraising—skills she enjoys using in service of protecting local trout populations through TU. Prior to moving to Vermont, she worked as a director of communications and fundraising for Harvard University and then earned a master’s in writing from Sarah Lawrence College. She currently runs her marketing business from her home in Shaftsbury and enjoys fishing, foraging, birding, and exploring every corner of the great state of Vermont. A retired radiologist, Barry has been fly fishing since 1965 and started fly tying around 1969. Barry began making bamboo fly rods in 1998 while living in the Portland, OR area. After retiring to Vermont, his output has been more brisk, as he has been making and selling rods seriously since 2006. Barry loves tropical fishing but anything that will take a fly will get his attention. As an accomplished artist, Kathy creates caricatures, cartoons, and pastels inspired by her time in the Vermont outdoors. She has chased moose, kissed a bear, hunted the elusive whitetail, and found friends that navigate slippery rocks to catch fish, only to let them go. She teaches beginner fly casting and fly tying lessons at Hawk Inn & Mountain Resort. Kathy enjoys volunteering for TU’s Trout in the Classroom program in area schools, bringing the wonder and science of nature into the classroom. Gordon Batcheller is a career wildlife professional, retired as Chief Wildlife Biologist with the State of New York in 2015. A Certified Wildlife Biologist and graduate of the University of Maine and Oklahoma State University, Gordon began his career as a wildlife biologist in Western New York. He worked in the Albany headquarters for over 25 years and was involved in all aspects of New York’s wildlife management program, including deer, black bears, furbearers, and endangered species. He has worked both nationally and internationally to promote sound wildlife conservation practices and the wildlife management profession. He currently serves as the Executive Secretary for the Northeast Association of Fish & Wildlife Agencies. A resident of Petersburgh, NY, he is an avid deer and turkey hunter, and angler in both fresh and saltwater. Jackie has been a part of TU since 2011 and has served as past President of the chapter. She is the Secretary of TU’s National Leadership Council Diversity Initiative Workgroup and a women’s ambassador to the northeast, helping chapters facilitate women-centric events. She is also currently serving as the Secretary to the TU Vermont State Council. Her favorite time on the water is spent either striper fishing around Cape Cod or steelheading in colder temps. Since retiring in 2012 after a 40-year career in higher education, Joe has has a lot more time for fishing- a sport he took up as a kid in Northern New Jersey. He especially enjoys fishing high gradient brook trout streams with his 2-weight. Over the last six years, he has devoted a great deal of time to supporting and expanding Vermont’s Trout in the Classroom Program, which now includes more than 95 schools state-wide. Christian Betit is the owner of Green Mountain Angler, a fly-fishing guide service he founded after a lifetime of fishing the Hoosic, Walloomsac, Battenkill, and Roaring Branch. Born in Bennington, Christian grew up in Petersburgh, NY and now lives in Shaftsbury where he divides his time between guiding, fishing, and his home repair business. Joe joined the Board in 2012 and enjoys exploring small streams, particularly those that are wild and remote. Even more, he likes catching the fish that live in those beautiful places. When he’s not fishing, Joe enjoys working in the family sugarbush, hiking the Long Trail and traveling with his wife, Peg. He also enjoys teaching others the joys of fly-fishing. 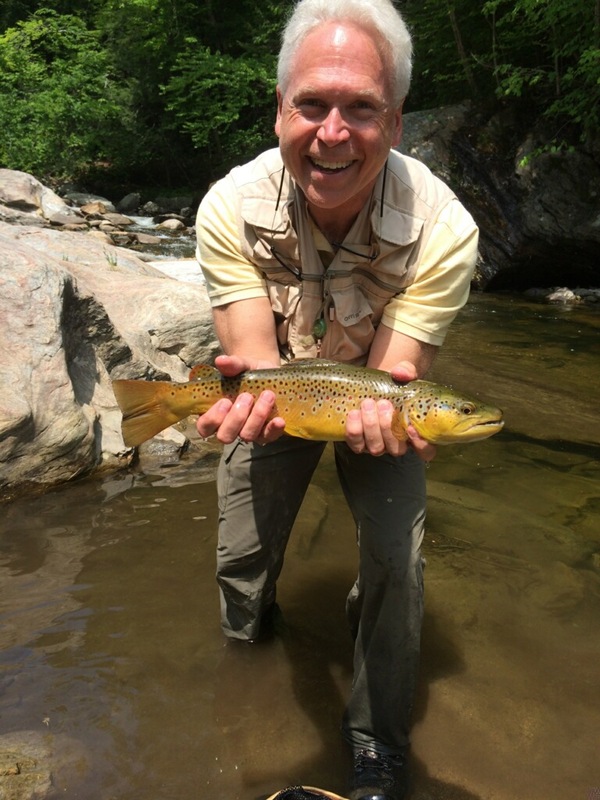 Greg grew up trout fishing on the Mettawee River as well as exploring the waters of Lake St Catherine in Vermont. Through these experiences, Greg developed a passion for pursuing adventure outdoors and an interest in environmental conservation which led to his full-time career at Orvis. With a deep understanding of the importance of protecting our natural resources, Greg joined TU in 2017 to support the conservation and health of our cold water fisheries in southwestern VT.